Lyme disease is getting a lot more press and government attention than it did in the past. There’s a good reason for this. The Centers for Disease Control and Prevention revised its estimate of the number of people who contract Lyme annually from 30,000 to 300,000 in 2013. This change elevated Lyme disease from being seen as a “rare” disease to a common disease. That’s 6 times more than the annual incidence of HIV/AIDS and about 1 1/2 times the incidence of breast cancer. But the CDC is only talking about INCIDENCE of Lyme disease — the number of new cases each year. What about prevalence of Lyme disease — the number of people who remain ill over time? The number of people living with the disease increases over time based on the percentage of those who contract the disease and remain ill. The chart below shows Lyme disease prevalence based on the annual incidence of the disease using different assumptions about treatment failure rates. Patients diagnosed and treated early generally respond well to treatment. However, treatment failures ranging from 10-35% have been reported in early disease and higher rates are reported for late disease. Nobody knows the number of patients who continue to remain ill. The National Institute of Health estimates this may be between 10% and 20% of patients diagnosed. Other studies (Aucott and Trieb) suggest the number may be even higher. Lyme disease prevalence is cumulative and increases each year until patients are either cured or die. As you can see, add those numbers up over a 20-year period, and you may have over 1 MILLION people living with chronic Lyme disease. This is a huge number of patients, even when compared to the number of people living with HIV/AIDS, which the CDC estimates at 1.2 million. So it’s a big problem. Good afternoon. I'm delighted to be here. I'm Lorraine Johnson, the CEO of lymedisease.org. For the last two years, I was privileged to serve on the executive committee of PCORnet; one of the nation's largest big data projects. PCORnet is a project of the Patient Centered Outcomes Research Institute, and like the Institute of Medicine, PCORI was founded by an act of congress. It has funded over 20 patient-powered research networks in an effort to transform healthcare. PCORnet pioneer the term patient-powered research network, and this is research conceived by patients, run by patients, that is designed to improve the quality of life for patients. It is big data done differently by putting patients at the center, usually by using patient registries and research platforms. According to the Agency for Healthcare Research and Quality, a patient registry, is an organized system that uses observational study methods to collect uniform data and evaluate specified outcomes for a population defined by a particular disease. Patient registries are uniquely suited for enrolling diverse patient populations, evaluating care as it is actually provided in real world practice, assessing complex treatment patterns and evaluating patient outcomes when clinical trials are not practical. For example, when you're looking at long-term outcomes from treatment or where you're looking at complex treatment approaches, like using multiple antibiotics. In November, lymedisease.org launched the first national patient-powered research network for Lyme disease, MyLymeData. And I want to tell you why this is so important. You might have noticed that Lyme disease is getting a lot more press and government attention recently. There's a good reason for this. The Centers for Disease Control and Prevention recently revised its estimate of the number of people who contract Lyme annually, from 30,000 to 300,000, and to put this in context, that's six times more than the annual incidence of HIV/AIDS, and about one and a half times the incidence of breast cancer. So that's incidence, the number of new cases each year, and this chart shows Lyme disease incidence, but it also shows prevalence, that is how many people there are living with Lyme disease over time. So the left column is the years and the incidence for each year is assumed to be 300,000, and the number of people living with the disease increases over time based on the percentage of those who contract the disease who remain ill. Nobody knows the exact prevalence. Prevalence reflects the number of people with chronic Lyme; those who do not get better after a short course of antibiotics. The National Institute of Health estimates this may be between 10 and 20% of the patients diagnosed and treated, and other studies suggest the number may be even higher. 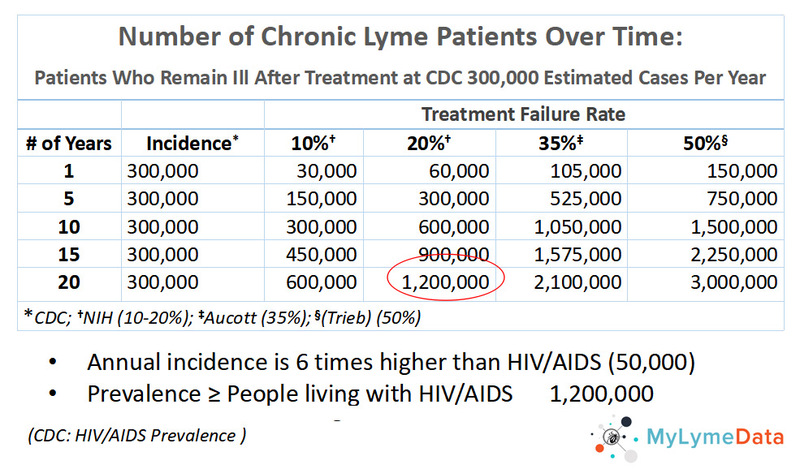 And as you can see, add those numbers up over a 20 year period, and you may be talking over one million people living with chronic Lyme disease, and this is a huge number of patients, even when you compare it to the number of people living with HIV/AIDS, which is estimated to be about 1.2 million. So it's a big problem. Not only that, but for every year that we do not address the problem, and find a cure for those who remain ill, the number of people living with chronic Lyme disease increases. It brings to mind the old adage that ignoring a problem only makes it worse, and ignoring the problem also results in unnecessary human suffering, and is costly. Chronic Lyme disease exacts an enormous financial toll on patients, the health care system and society. A study out of Johns Hopkins by Adrian and Aucott analyzed inpatient/outpatient and pharmacy costs for Lyme patients, and found that these costs may be as high as $1.3 Billion each year. And the study examined only medical costs, which unfortunately may be just the tip of the iceberg. This is because, as a study by Zhang at the CDC found, medical costs are a relatively small portion of overall costs. 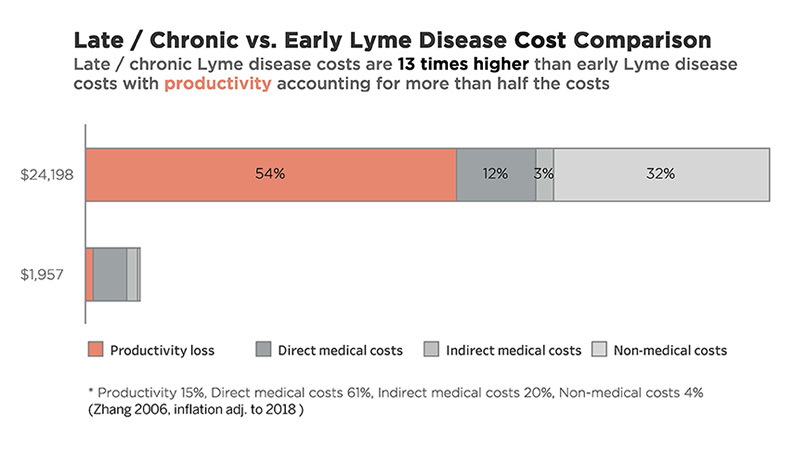 Loss of productivity is by far the largest cost of illness for Lyme disease, and the problem is a chronic Lyme disease literally stops people in their tracks and prevents them from living full, productive lives. We have surveyed more than 5,000 patients, and as you can see by looking at the top blue bar, 43% had to stop working as a result of Lyme disease, and this compares with about 6% in the general population. In addition, 26% were forced to reduce their work hours or change the nature of their work, and this cost is felt not only by the individual but by society, and for a long time; nearly half of the patients in our survey reported being ill for 10 years or longer. 24% reported that they were receiving disability payments due to the illness. So it's a big problem, but little has been done to address it, unfortunately. So we find, for example, that even though the incidence of chronic Lyme disease may be quite high and may in fact, exceed that of Hepatitis C, the research activity is very different. While 300 treatment trials have been conducted for Hepatitis C, only three government treatment trials for chronic Lyme disease, have ever been conducted. And as this slide shows, the fact is that the number of clinical trials on Lyme disease is dwarfed by just about every other infectious disease. This chart by Gus Wami reflects the number of infectious disease trials by disease and it's based on clinicaltrials.govdata. While the research base for HIV/AIDS, Hepatitis C and tuberculosis, are relatively robust. For Lyme disease the research funding pot is essentially dry. And unfortunately, I don't see this changing significantly anytime soon. 51% of trials for infectious diseases are funded by industry, but Lyme disease has not attracted industry funding. And the last NIH funded trial for the treatment of chronic Lyme disease, was funded over 15 years ago. Lyme disease is what is known as a research disadvantage disease. To be sure a part of this reflects the fact that the reported incidence was so low. At 30,000 cases, you're really in the range of a rare disease. But today, we know that Lyme disease is far from rare; 300,000 cases a year. 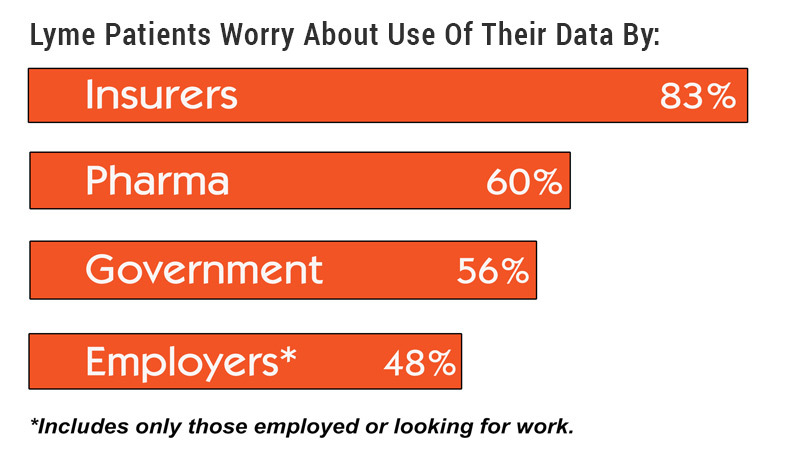 And it was big data studies by government, in fact, that made this clear. The CDC went out and did three big data studies; one was of laboratories, one was of an insurance database and another was a survey of the general population. And from that they were able to conclude that their 30,000 cases of Lyme disease annually was way off and that the actual number was more in the range of 300,000 cases a year. Now, you might think that the obvious solution is more randomized control trials, but it's not that simple. While randomized control trials excel at proving cause and effect, they fall short in key ways. Rob Califf, who is heavy in the FDA currently, used to sit on the executive committee of PCORnet with me, and he liked to say, and I'm paraphrasing him here, "Traditional trials are great, but they take too long, cost to much and don't apply to most people." And these limitations are mainly the result of the highly selective nature of randomized control trials. And the NIH trials for chronic Lyme disease were extremely selective; only one in 10 people screened were enrolled in the Klempner trial and then the Fallon trial only one out of every 100 people screen was enrolled in the study. For example, Fallon screened over 3,600 people to enroll just 57 and took over four years to recruit. The NIH trials took between two and a half and four years to recruit generally, and of course, time to publication was longer, ranging from four to six years. This is a long time to wait, especially for patients who are sick. And when you look at the number of patients screened out of the trial you have to wonder, how representative those select few who were included are of regular, everyday patients. But this is how randomized control trials are designed. They're designed to be highly selective. Observational trials are the opposite. All of the people at the base of the pyramid are included and MyLymeData is an observational trial. And there's another cost to consider that's not so obvious, but just as significant. Since these trials are highly selective in screening patients, the samples may not reflect the clinical patient population, and the results may not apply to these patients. Traditional trials, in short, may exclude patients like you and me, like these chickens, all patients are not alike. In fact, Lyme disease patients are very diverse. This is because ticks can carry many bacteria, viruses, fungi and protozoans all at the same time, and transmit them in a single bite. When we say if someone has Lyme, we may be referring to a stew of pathogens. Treatment responsiveness may depend on what particular stew of pathogens this patient has. And small sample sizes may not accurately reflect diverse patient populations. For example, patients who are diagnosed really may have a different course of illness than those who are diagnosed later, or those for the greater severity of illness may respond to treatment differently. And average treatment effects can overlook benefits. Small randomized control trials tend to focus on the mean; the center line of this graph. And they miss the fact that some patients do better and some patients have no effect from treatment. To do the type of sub-group analysis that shows these different treatment responses, requires big data. Kravitz describes the problem. 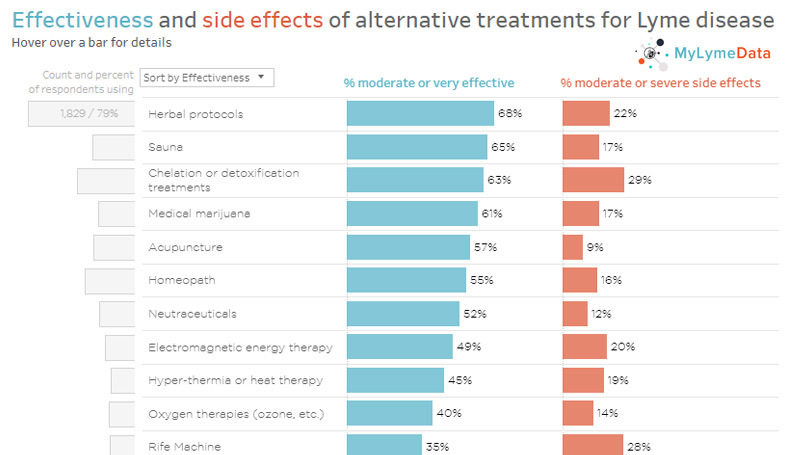 It should be obvious that treatment effects are not necessarily the same for everyone. What may not be so obvious is that misapplying averages can cause harm by either giving patients treatments that do not help or by denying patients treatments that would help. And traditional research leaves the real world behind in other ways too. It is simply not messy enough to reflect real, live patients and treatments. For example, traditional treatment trials typically measure only one treatment intervention for a short period of time. The NIH treatment trials use single antibiotics at a time and the longest duration of treatment was 90 days. But many clinicians believe that Lyme disease is a more complex illness, like tuberculosis. It may require a combination antibiotics taken for a couple of years just as tuberculosis does. These types of complex or longer term treatments generally aren't practical to test in traditional trials. And small treatment trials sometimes just can't get us where we need to go. The NIH treatment trials had sample sizes, ranging from 37 to 129 people. However, as Dr. Gordon Gaia points out, a key voice in evidence base to healthcare, to detect small to moderate treatment effects necessitate sample sizes and the thousands or tens of thousands. Chronic Lyme patients need answers that aren't going to come from small traditional trials. 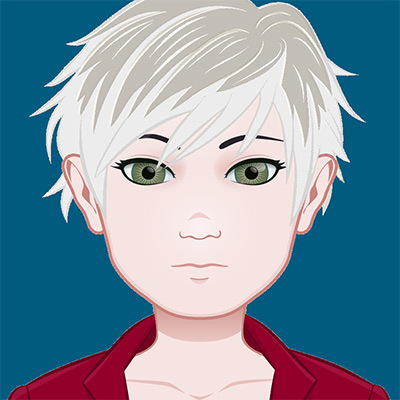 To get sample sizes in the tens of thousands we need patient-powered projects, like MyLymeData. Today patients can help make that happen. 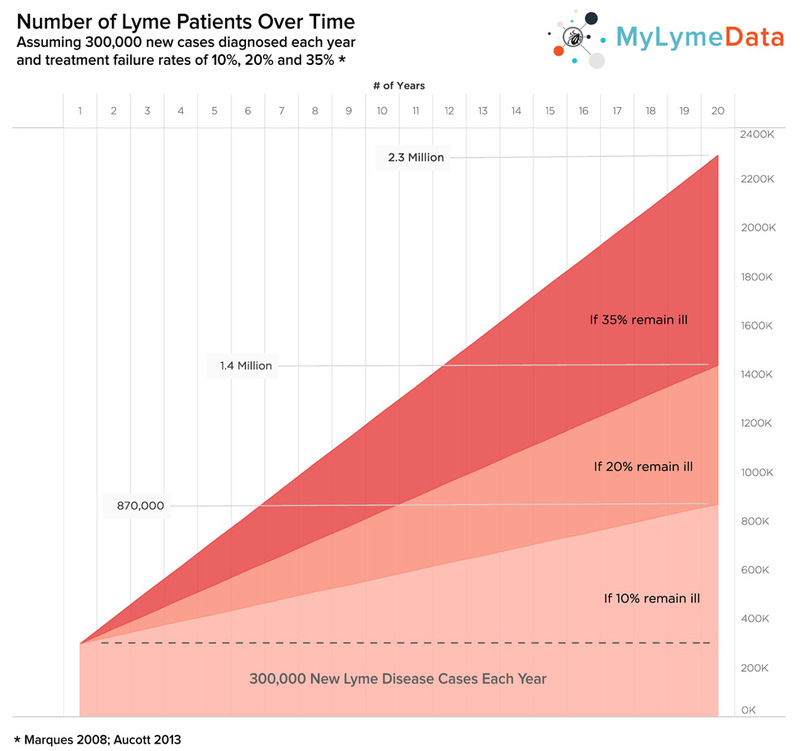 MyLymeData is the first national patient-powered research network for Lyme disease. It provides the tools needed for patients to pool their diagnosis and treatment experiences, and it allows us to track a patient's progress over time. It is designed to address the needs of patients who are sick today; too sick to wait. Chronic Lyme patients have a worse quality of life than patients with congestive heart failure. Many can't work. Many are on disability. Many have lost their jobs, their families, their homes, and maybe worst of all, many have lost hope. Today's patients can't wait for tomorrow's research. They just want to get on with their lives. Lyme disease is an infectious disease, and like Hepatitis C, we should be able to solve it. The problem is we're not trying hard enough. Today, patients have enormous power. They have a deep knowledge and understanding of their disease and they have the most important research asset of all; their health data. Patients are experts with assets and today patients can be part of the solution. And they are riding the wave of advances in technology that allow patients to pool their data to find answers. Even better, it is cheap, quick, and best of all, it looks at treatments patients actually receive from their doctors. So this is real world research. When we analyze mass amounts of data we can see disease patterns, we can identify sub-groups, like those in the blue circles on this slide, people who are responders, people who are partial responders or slow responders or non-responders. Why do some people respond to treatment and others don't? Big data analysis can help us determine which patients are most likely to be cured using standard treatment approaches, versus those individuals who may need longer, more aggressive treatment. Like many patients with long-term illnesses, chronic Lyme patients can feel isolated and powerless, and they ask, Can one person really make a difference? Is it even possible? Yes, it is. Because with big data, we're uniting one person with another and another, and before you know it, you're talking about an entire community, all with patients with the same disease, pooling their data to crowdsource a cure. And I have to tell you, the truth is the people who will cure Lyme disease are the patients. Why? Because they care deeply, are dogged in their pursuit of health and because they won't stop until they get it right. Patient-powered research, of course, starts with patients. For over 10 years, lymedisease.org has conducted large-scale surveys with five to 9,000 patients participating to increase our knowledge of Lyme disease. Two of our previous surveys have been published in peer reviewed journals. Our goal is to establish a shared resource of patient natural history information and treatment response, to accelerate research in Lyme disease. As Marty McFly and Doc Brown already know, the future is now, patient registries and research platforms open a whole new pathway for research. They can provide descriptive information. They can conduct observational studies. They can create research-ready populations that help recruitment. They can collaborate in research, initiated randomized control trials, and they can even provide long-term follow-up for traditional trials. Big data and randomized control trials can complement each other today in ways that have never before been possible. I hope that it is clear now why patient-centered big data is so important to Lyme disease. We think that big data is a big deal and expect MyLymeData to be the largest study of chronic Lyme disease ever conducted. Now that might sound ambitious, but remember that only 55 patients completed the largest government trial, and that those patients were enrolled over a three year period. Today, we're looking for patients, researchers and clinicians to partner with in this effort. Our goal is to enroll over 10,000 patients. We already have over 3,000. We are walking into the future. Please join us. I wanna thank you for giving me the opportunity to speak today. Unfortunately, for every year that we do not address the problem and find a cure for those who remain ill, the number of people living with chronic Lyme disease increases. Very little research has been conducted regarding how best to treat patients who do not respond to short-term treatment approaches or who are not diagnosed early. MyLymeData was developed to accelerate research in Lyme disease by providing observational data and serving as a research platform for more traditional studies. Most of the patients in MyLymeData (79%) have either late or chronic Lyme disease and report being diagnosed late (70%), when treatment success is much more difficult to achieve. 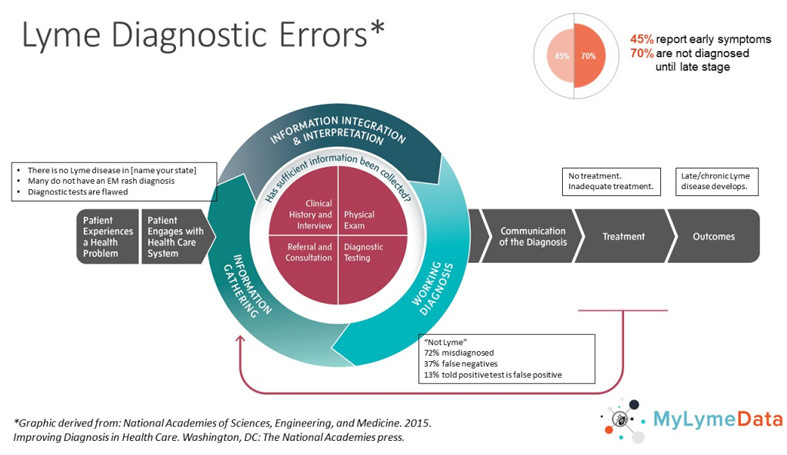 Less than 13% of patients in the registry were diagnosed within the critical first month. To reduce the number of patients with late/chronic Lyme disease, we need to diagnose patients early to prevent their disease from progressing. We also need to develop more effective treatments for patients with late/chronic Lyme disease. These are both winnable battles, but to succeed we need to acknowledge and address these issues aggressively. LYMEPOLICYWONK: Growing Number Of Chronic Lyme Patients—Still No Government Action Plan?